possible, compare with Money Expert. Representative Example: If you spend £1,200 at a purchase interest rate of 0% p.a. (variable) with a £0.00 monthly fee your representative rate will be 0% APR (variable). Representative Example: If you spend £1,200 at a purchase interest rate of 12.9% p.a. (variable) with a £0.00 monthly fee your representative rate will be 12.9% APR (variable). Representative Example: If you spend £1,200 at a purchase interest rate of 14.71% p.a. (variable) with a £0.00 monthly fee your representative rate will be 14.7% APR (variable). Low interest credit cards, also known as low APR (annual percentage rate) credit cards offer you the ability to borrow money over a long period while offering you low interest payments. This low interest rate is guaranteed for the time you own the card and therefore you can be safe in the knowledge that you will always be paying low interest payments for the duration of the time you are paying off your debt. Low interest credit cards don’t come with introductory bonuses or perks because of the massive advantage they offer of allowing you to continually pay low interest on your credit payments. In order for your application to be accepted for a low APR credit card you will almost certainly need an excellent credit rating. This is because lenders adjust the interest rate that they offer their customers according to how much risk they calculate to be associated with lending to them. You can order your credit report in order to see how good your credit history will appear to potential lenders; this can be done by contacting the credit reference agency. Although the advantage of using a card that has a low interest rate is clear, you should also consider the advantages that you may be missing out on from other credit card types which might be more beneficial to your individual situation. If you don’t plan on having the card for very long then you may well benefit more by having a card which has 0% interest for the first 12 months. This way even if you do not clear the credit which you owe at the end of each month, you still pay no credit at all for the first 12 months. If you’re looking to use your card on a regular basis for shopping, you may be better off using a purchase credit card which will allow you to make new purchases without paying interest on those purchases.. 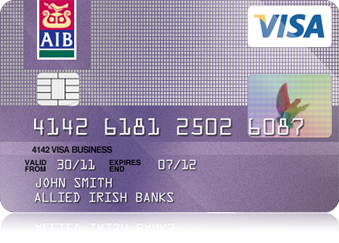 Most credit cards can be used abroad in the same way they are used in the UK. While travelling abroad you will be able to use your card to pay your restaurant bill, to arrange your hotel booking, to purchase things in shops, and to even withdraw cash from foreign cash machines. Be aware however that you may need to pay additional charges for the purchases and withdrawals you make abroad for converting currencies. These charges are known as "foreign usage loading", and this is how these charges will appear on your credit card statement. If you withdraw cash you may also pay a cash-handling fee on top of the foreign usage loading. If you plan on travelling then you should contact your credit card provider to find out how much you will be charged every time you use your card abroad. You may want to shop around for the best travel credit card available.Another advantage of using your credit card to pay for things both abroad and within the UK is that you will be protected under the Consumer Credit Act. Whenever you pay for something on your credit that costs between £100 and £30,000 both the retailer and the credit card provider are responsible for the standard of good and services that you have paid for. Therefore if the goods you purchase do not meet the necessary standards then you can ask to be refunded by your credit card company.